How to use ActiveCampaign forms in Popup Maker? How to connect and use Google Analytics in Popup Maker? How to connect and use MailChimp popup element? How to use GetResponse forms in Popup Maker? 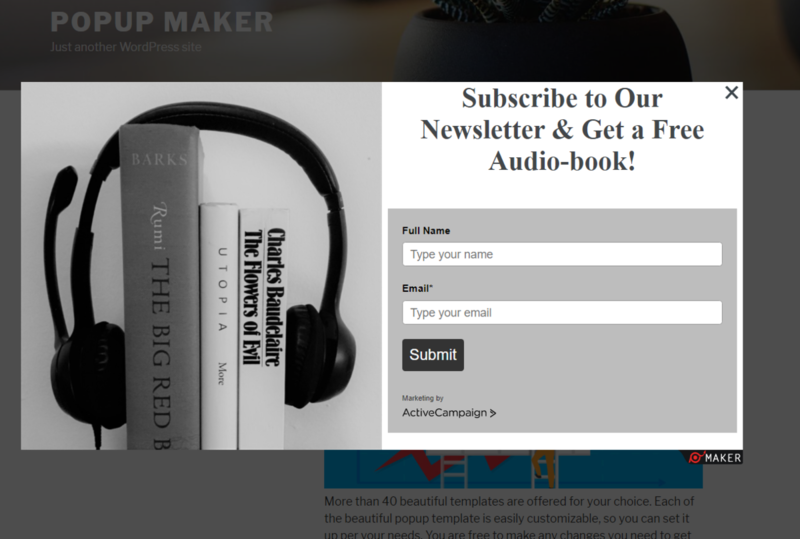 How to use ConvertKit forms in Popup Maker? 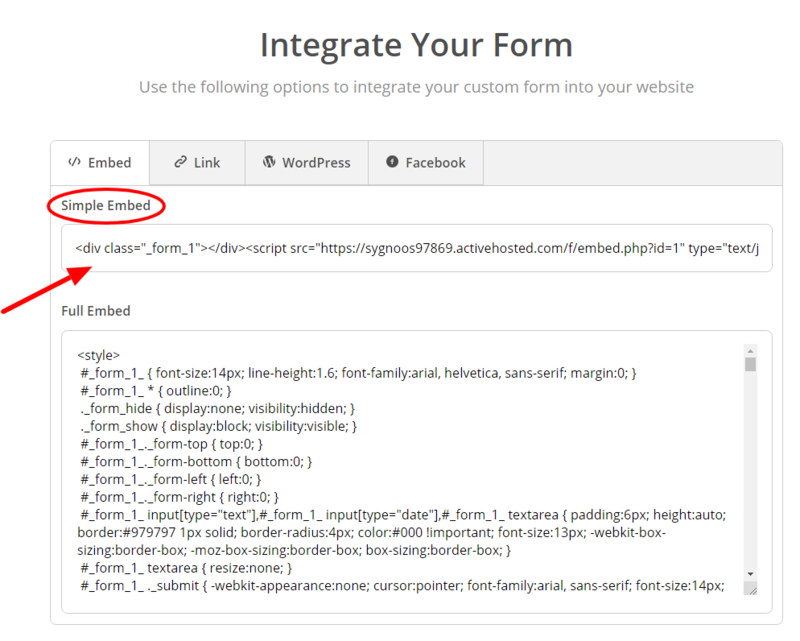 How to use Aweber forms in Popup Maker? How to use Drip forms in Popup Maker? How to use Benchmark forms in Popup Maker? How to use Popup Maker Zapier integration? ActiveCampaign integration provides you with ability to collect new subscribers to your ActiveCampaign list through beautiful popups. Simply embed the ActiveCampaign form inside a popup and start collecting subscribers. How to get the ActiveCampaign embed code? How to embed the code in Popup Maker? Go to your popup settings (you can select a template or create a popup from scratch). 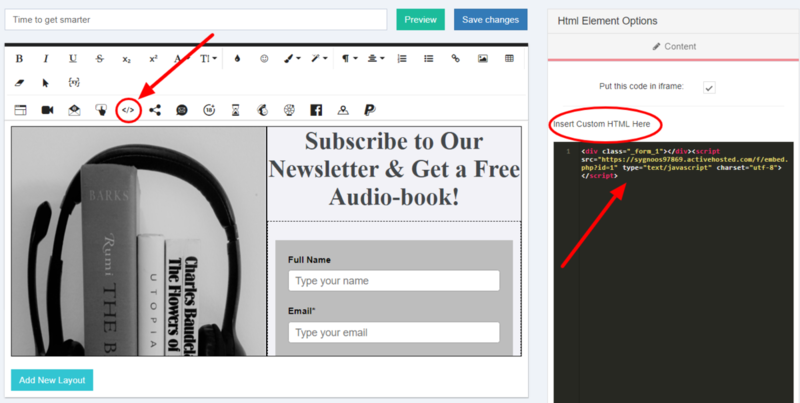 The HTML editor will appear on the right side of the page, paste the embed code of the ActiveCampaign form here.